Bedford County is one of the region’s fastest-growing counties, and is also the fifth-largest county in the commonwealth of Virginia. Bedford County straddles the Blue Ridge Mountains in the northern and western sections of the county, while it falls away to the rolling Piedmont to the east and south. Bedford County has 200,000 acres in farmland and some 1,400 farms. The county sits astride two major watersheds, the James River watershed in the far north of the county and the Roanoke River watershed in the rest. Notable natural features include the famous Peaks of Otter, as well as Smith Mountain Lake and the James River. The Appalachian Trail and Blue Ridge Parkway run along the northwest border of the county. The Blue Ridge Land Conservancy protects around 850 acres of land in Bedford County and more than 7.5 miles of rivers and streams with 9 protective conservation agreements with local landowners. These lands range from restored river bottom along Goose Creek to forestland at the base of Sharp Top Mountain. 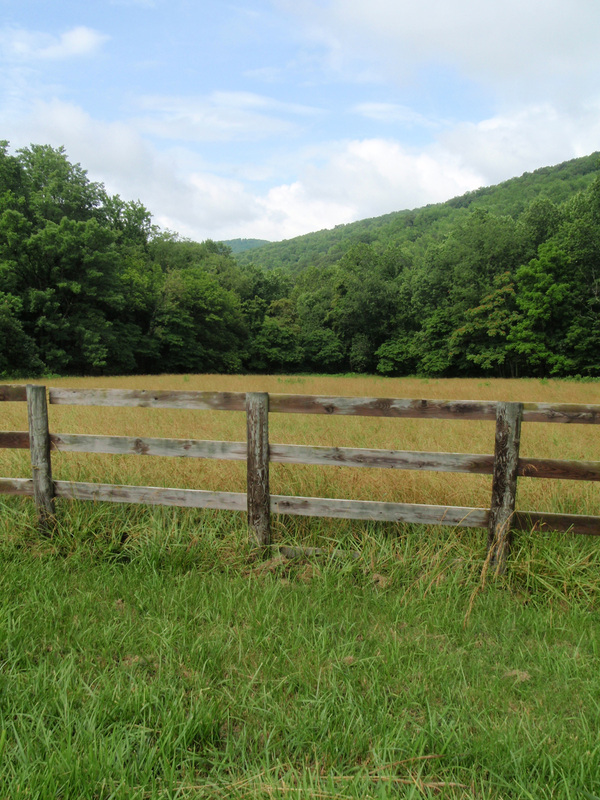 Conserved pastureland at the base of Sharp Top Mountain, one of the Peaks of Otter in Bedford County.